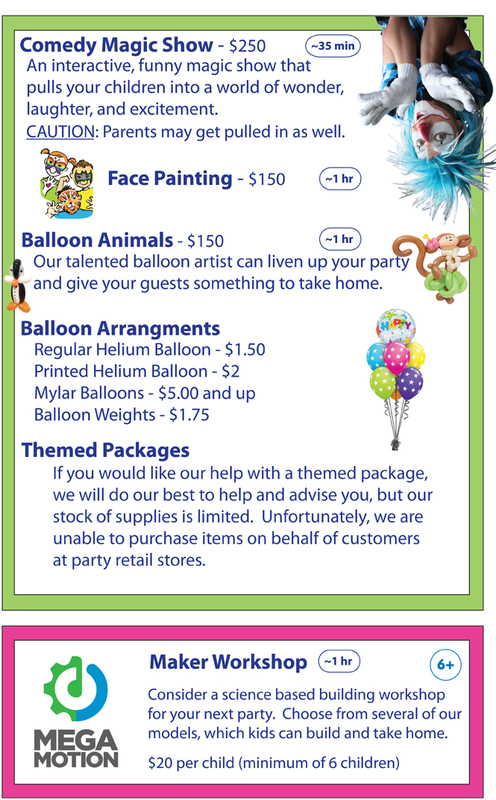 Looking to add some entertainment to your child’s party? *We carry an abundance of balloon colours: red, orange, teal, white, black, gold, silver, yellow, light green, dark green, light blue, dark blue, Light pink, dark pink, light purple, dark purple, brown. Quantity of balloons? In how many bunches? Colour scheme? How you want them arranged through out the room and we will take care of it.